I grew up in a house where you could find a game on the TV most nights of the week. My parents are huge fans of all sports so you could find them watching the Yankees in the summer, the Giants in the fall, the Celtics and UCONN Girls Basketball in the winter and of course some hockey, tennis, and the Olympics mixed in over the year. 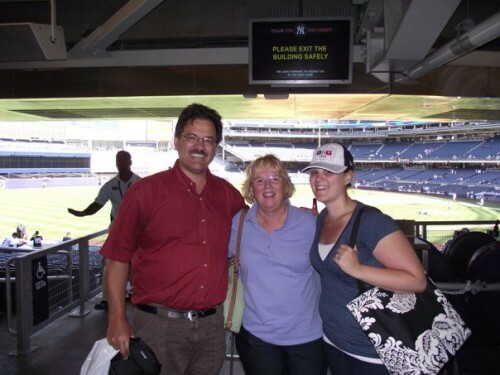 Although I don’t share their same enthusiasm, especially my dad’s, for sports I am a huge fan of the Yankees. 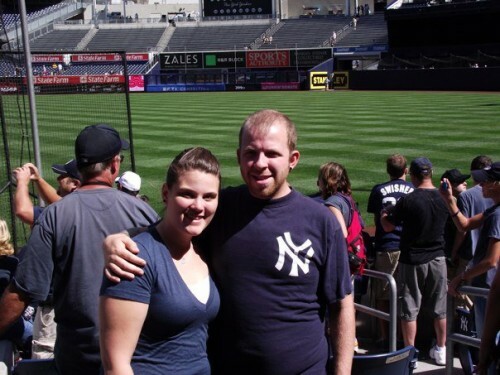 Funny thing is until Neil and I started dating I used to always root for the opposite team of who was playing the Yankees (unless of course they were playing the Red Sox and then I was all about the Yankees). My opposition to the Yankees was more for the fun in picking the opposite team of my dad, not for my dislike for the Yankees. Once Neil and I started dating I got more into actually watching baseball since he is a huge fan. I have learned more of the game and really love to watch it. I even went to my first Yankees game two years ago (wow time flies I had to go to my FB photo album to check the date). With all the SportsFreaks in my family I end up buying lots of sports centric gifts for holidays and birthdays. It actually makes things pretty easy because even though you’d think that they have everything already, but often clothes need to be replaced and of course calendars are a yearly thing so they are a great gift. 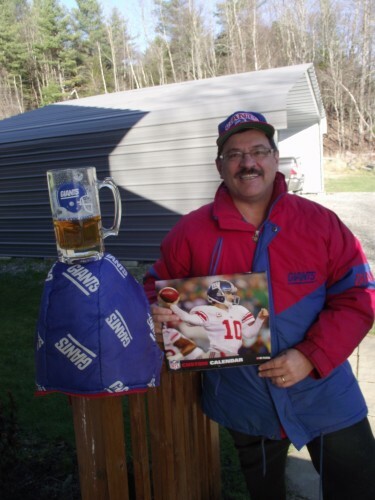 This year I am giving my dad an early Christmas present, his very own Giants calendar from SportsFreak365. The great thing about this calendar is that I was able to pick the images and the players that I wanted to include in the calendar. Well actually I called my dad to ask who his favorite players were because honestly I know nothing about football, it’s probably my least favorite sport but he is a huge fan so it’s a perfect gift. What is your favorite sport? Are you a SportsFreak? Will you be giving sports related gifts this year? Showing off your team spirit has never been easier! Whatever team you root for and whatever sport they play, find the gear you need at SportsFreak365.com. Just in time for the holidays, you can get 30% off any purchase using the code “Clever30.” And while you’re there, be sure to enter to win $500 toward team gear in Ditka’s SportsFreak of the Week Contest!